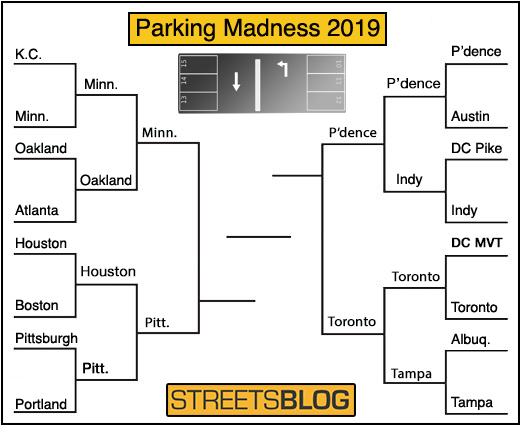 The second Final Four match in our annual Parking Madness tournament is here — so we’re on step closer to identifying the “Most Improved Parking Crater in (North) America.” Yes, things are getting interesting. Pittsburgh and Minneapolis continue to do battle for the first spot in the championship match. Pittsburgh is currently enjoying a commanding lead, but a lot could change before voting closes tomorrow. Meanwhile, we’ve got another stellar matchup for you today. 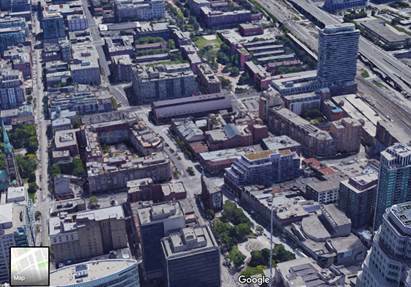 We’ll be looking at a former moonscape of parking lots in downtown Toronto that has since blossomed into a walkable, vibrant neighborhood. Meanwhile, the Rhode Island Statehouse area offers an awe-inspiring asphalt wasteland that was completely transformed over decades. We’ll be matching up the winners of both of these contests early next week for the championship and a chance at the “Golden Crater,” signifying the most improved former parking lot in a (North) American city. 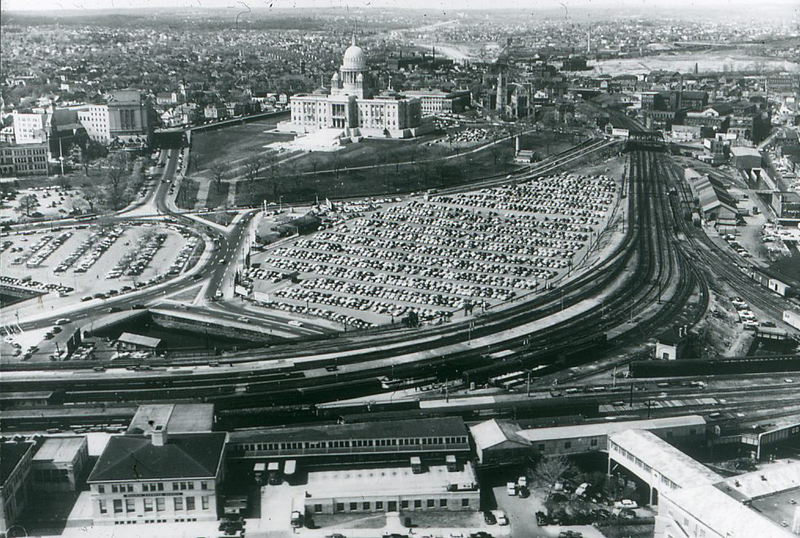 First up, take a gander at the Rhode Island Statehouse area. Eventually, a portion of the railroad tracks were moved underground and part of the Woonasquatucket River was daylight and channelized. 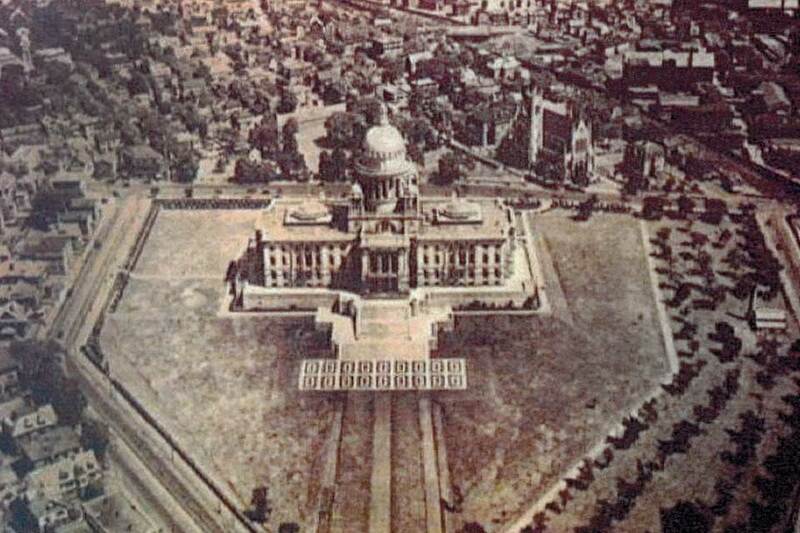 New streets were constructed to reconnect the Capitol area to downtown. As of early 2019, two key projects are under construction on formerly vacant lots in this area including an 8-story, 120-room extended stay hotel and a 169-unit apartment building. 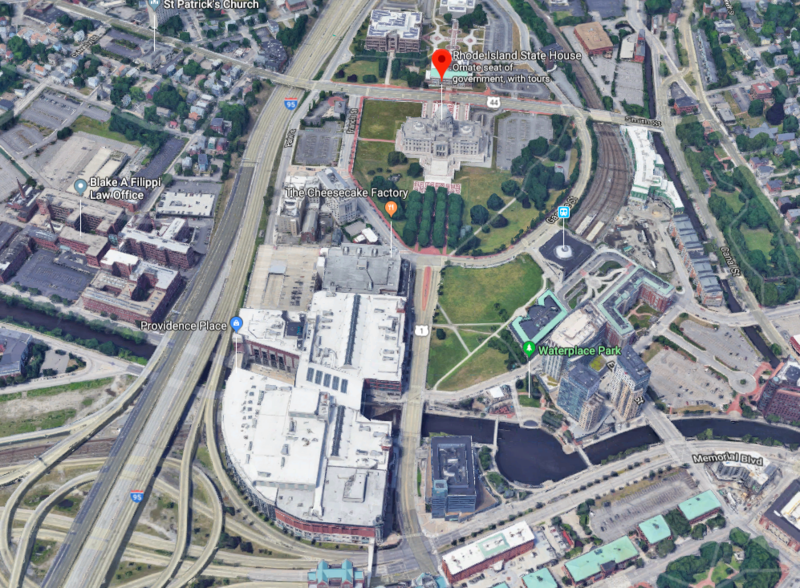 In addition, according to the Cultural Landscape Foundation, a portion of the Statehouse grounds has been proposed for an “intermodal transportation center,” which would include a transit hub, the Providence Amtrak Station and a number of mixed use buildings. The project will be funded by a bond issue passed by voters in 2014. Would provide not just additional transit access to the Statehouse, but also transit-accessible commercial spaces. One of the reasons this example so special is because in smaller capital cities have really gotten this wrong, and squandered a chance to make a natural, walkable jobs hub — something that could be an exciting and centering feature of the region — into a forgettable and desolate place. And that means all those state employees are commuting from distant burbs, rather than spending time and money in the Capital area. Lansing, last year’s top parking crater, is an example of the huge missed opportunity this represents for the whole region. As impressive as this is, we should note that there are some surface parking lots that would qualify as a small crater behind the statehouse. Now let’s look at Toronto. 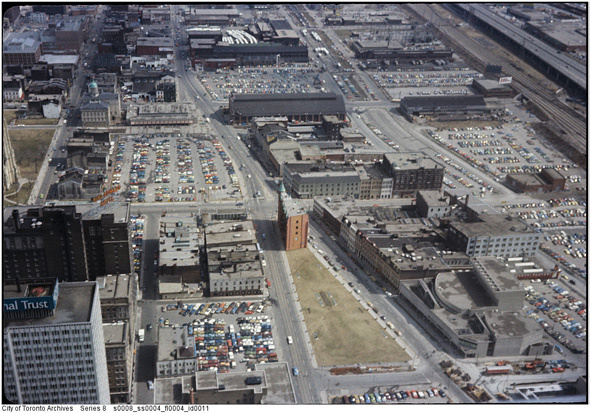 It’s really hard to believe just how many parking craters there were in 1960s and 1970s Toronto if you look at historic photos. But apparently it was common practice to clear a lot to ready it for development that may or may not ever come. But in recent years, it has come in a big way. There are probably a half dozen examples that would have sufficed for this competition. But this place was singled out by reader Dave Thom, who thought it was particularly impressive. Readers tell us that many of Toronto’s former surfer lots have been filled in with high-rise housing. And that much of the parking is limited to below-ground garages, giving the city a really dense, walkable form. Examples like this should give any city with parking craters hope that change is certainly possible, especially with the right policies (and having a strong economy doesn’t hurt either). Which is the most improved? Voting will wrap up later this week.